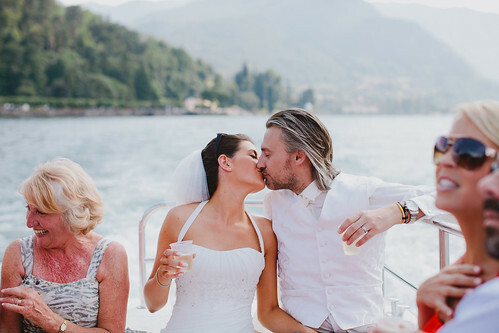 Destination weddings are exciting, beautiful and memorable. It’s important to know that they also come with unique challenges that may not be experienced with a more traditional, local wedding option. There are special challenges that naturally go along with travel. When you factor in things like expenses, language, custom and culture differences, they can be a lot to consider. The farther away the destination, the more exotic and romantic it may seem. It may also be a lot more challenging for your wedding party and guests to attempt to travel to your destination. This is especially true for those who live in smaller towns without airports or easy access to direct flights. Another thing to consider is the expense of travel. Costs add up quickly when buying plane tickets, reserving a hotel, renting a car and other incidentals. There are the extra wedding expense issues that must be addressed when choosing a destination wedding. Some of your wedding party may have to back out if the wedding destination is financially beyond their reach. It’s also important to think of your invited guests. They will also need to buy plane tickets, reserve hotel rooms, rent vehicles and take care of all the incidental expenses that naturally come with travel. Some of your guests may not be able to leave their job for the time they’ll need to take off to attend a destination wedding. Others may find it daunting to make child care or other arrangements for the time they would be gone. One unpleasant surprise that can await those planning a destination wedding is that the group ultimately attending the wedding may be smaller than anticipated or hoped for. It’s very important to be sure that everyone you really want to have at your wedding is comfortable with the cost of traveling to your destination. If a wedding destination is set up to handle wedding arrangements and offers all-inclusive wedding planning services, there is less to worry about. If you need to make all your plans in the destination country, though, it’s crucial to know that you may face challenges due to things like language. Tasks like buying your wedding cake, flowers, decorations and making arrangements for music or photographers can become incredibly challenging if a foreign language is spoken at your wedding destination. It’s important to realize that things you may want might not be available in a foreign country. You may have to do some compromising in the process. If you are flexible, things will be easier. Another important thing to consider is the wedding documents and licensing laws. A wedding that is valid in one country might not be considered valid back in your home country. This could make it necessary to have another smaller wedding ceremony once you arrive back in your country. Ultimately, the decision is up to you whether to continue with a destination wedding. If you want a more intimate, smaller wedding with only very close family and friends attending, this might be for you. If you are flexible and able to roll with changes that might occur, you’ll have an easier time planning a beautiful destination wedding.